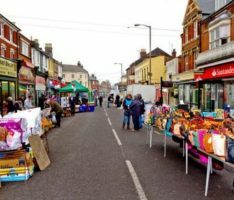 Come and visit Dovercourt market, a traditional and vibrant market with something for everyone. This additional retail opportunity, with a variety of stalls, offer items including women’s fashion, bags and underwear. We have the basics of any market with a fine butchers, two fruit and veg stalls, eggs, fish and artisan breads. There’s bedding, books and even something for your pets. Come and give us a try for some good old fashioned personal service with a smile.